Chapter 13 bankruptcy is described as a debt relief process whereby you maintain ownership of your property while paying back all or a significant portion of your owed debts over a period of time, generally between 3 to 5 years. Unlike Chapter 11 bankruptcy, where your debts are absolved but there is often inevitable surrender of property and assets, Chapter 13 bankruptcy is a debt relief option that allows the person experiencing financial troubles to repay their debts while keeping their property intact. Also referred to as â€œReorganization Bankruptcy,â€ Chapter 13 bankruptcy is an excellent possibility to establish financial stability if deemed an eligible candidate. 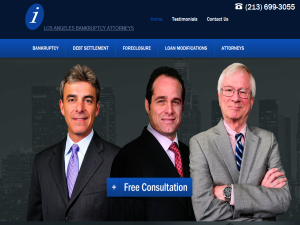 Best Attorneys in Los Angeles for Saving Your Home.